Big Brother has asked me to organize "theme weeks" this summer, which makes me laugh as I'm starting to think he might be a future teacher in the making. Or, at least a camp counselor. I'm trying to approach our weeks with enough projects and activities to make it seem like a theme to him, but also enough freedom to make it still seem like summer for me. 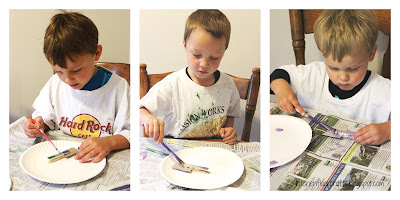 Our first theme was "Bugs." 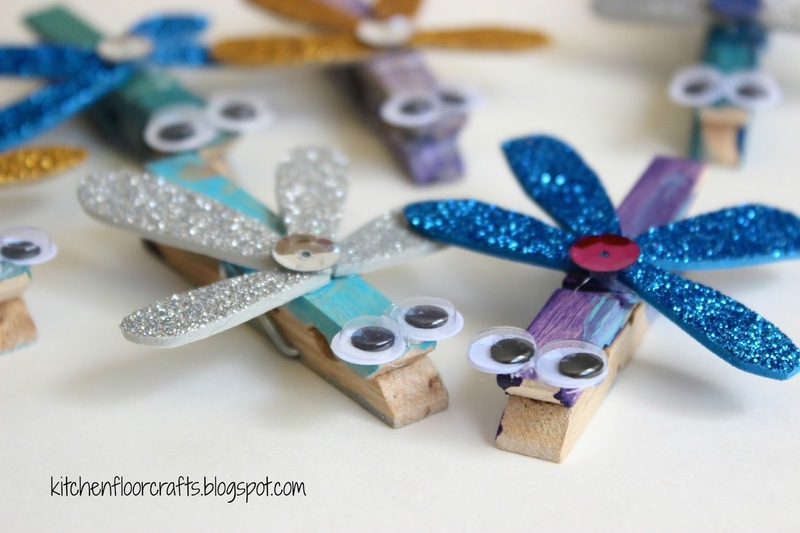 We did several simple bug explorations and activities, but one of my favorites were these adorable clothespin dragonflies. 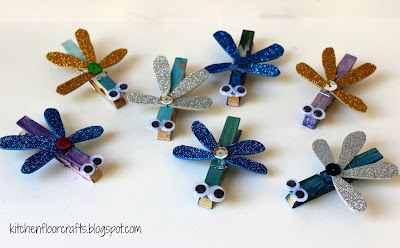 This summer we have a friend with us two days a week, Little Buddy, which meant we were able to create quite a collection of dragonflies as there were three boys crafting. After they dried, each kiddo choose the color wings and sequins they wanted. (For this project I cut the wings out.) Each dragonfly got 4 wings, two eyes, and one sequin, but there were lots of color choices. 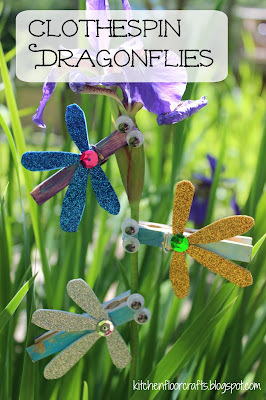 This meant each dragonfly got an individual look. I then helped the kids one at a time hot glue the pieces onto the clothespin. 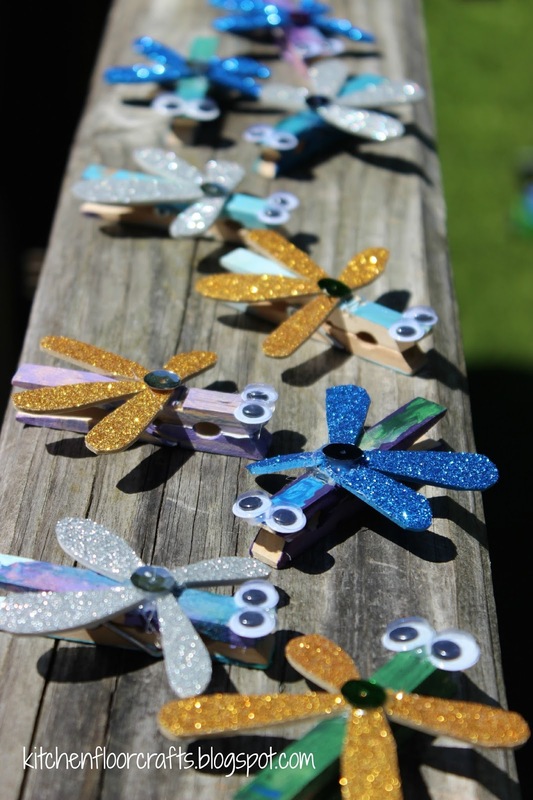 In the end there was quite a collection of sparkly dragonflies! The boys later turned the dragonflies into rescue fliers, who operated somewhat like rescue helicopters, flying in to save others. I was more excited about the idea of the dragonflies having a more purposeful use, as the clip part still works too. I'm thinking of adding magnets to the backs and keeping them on the fridge! 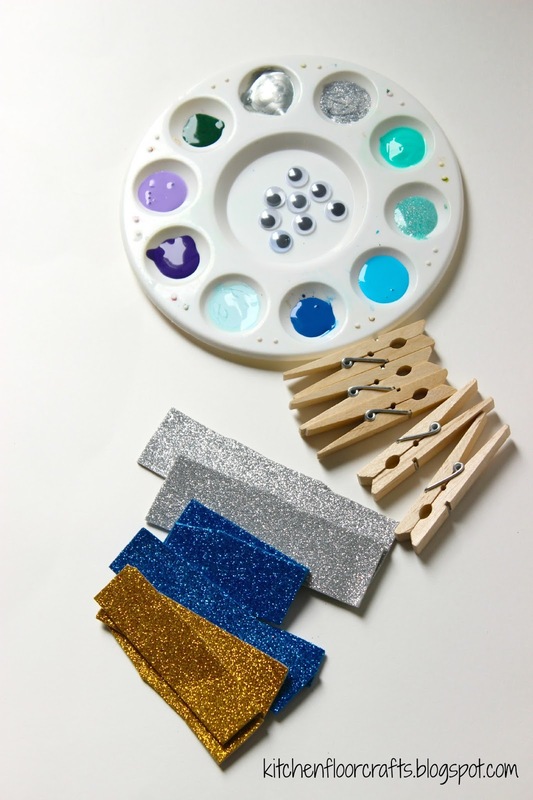 How might you use them in your house?